Each month a local business sponsors the event. 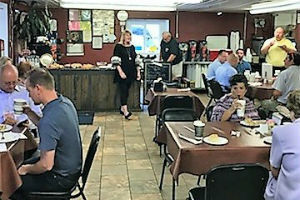 Attending Early Bird Networking is an excellent opportunity to grow your business by interacting with community leaders and networking with fellow business professionals. It is always free, open to the public and includes a complimentary continental breakfast. Our monthly Lunch & Learn is one of the events provided by the Chamber that is available to registered Chamber members. 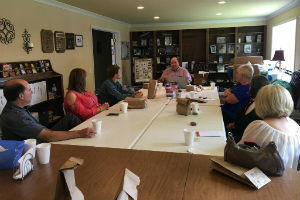 Typically taking place on the fourth Thursday of every month at the Chamber office and features new topics and guest speakers every month. This event gives the business community an opportunity to learn more about what the Chamber is doing to reach their goals and to provide knowledge to those who wish to open a business of their own or help their current business thrive. This program is about giving members ideas on how to strengthen their businesses and getting to know each other over lunch. To learn about our next Lunch & Learn or register for this month's event click here. Business After Hours is an event that can entail a variety of possibilities to network including town hall meetings, Business Open Houses, or Meet & Greets with community leaders. It typically takes place after 5 P.M. during the workweek at various locations across our community. 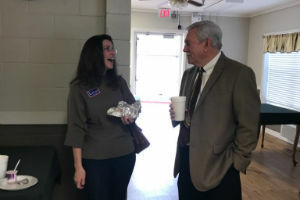 Co-hosting a Business After Hours events are a great way to promote your business or organization while also connecting you to the business community. If you're interested in co-hosting a Business After Hours, contact us here. 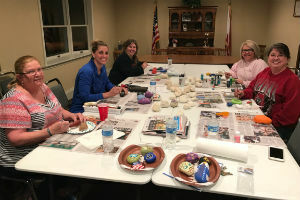 We are painting rocks to hide around Boaz to brighten people's day and some of them are prize rocks which are sponsored by Chamber members. You could win anything from a free drink to a $25 gift certificate. We would love for you to join us! If you find a rock, follow the instruction on its sticker. Go to the Facebook page: Boaz Rocks!!! : https://www.facebook.com/groups/161451011086559/ or call the Chamber at 256-593-8154 to see if you found a winning rock. If it’s not a winning rock, you may take it and re-hide it, leave it be, or, if one really shouts out to you, keep it. The goal is to get lots of people out into our community having fun hunting rocks together! 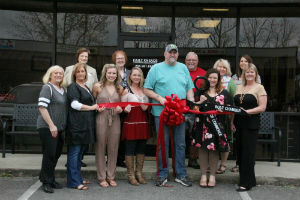 Grand Openings, Ribbon Cuttings, and Ground Breakings are the perfect occasions to celebrate your businesses' debut. Whether you are just starting on a new project, finally opening your doors, or just moving locations these events not only connect you to your Chamber but the entire business community and beyond. Totally customizable to your business needs and goals these events are a great way to meet & greet with community leaders and business professionals. These events are often partnered with other community organizations as a way to promote your business on multiple fronts. Always open to the public, the Chamber promotes these events to local media and its members. Chamber members are encourage to attend these free events as a way to learn about the growth in our community. If you're considering holding a Grand Opening, Ribbon Cutting, or Ground Breaking contact us here. If you are interested in attending our next event check out our calendar of events here. 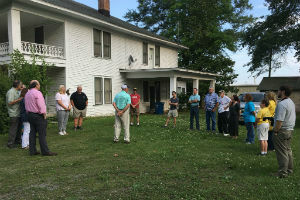 To save a community heirloom, the historic Snellgrove/Sparks Homestead, through its purchase, restoration and reuse as the Boaz Area Cultural and Visitor Center to preserve the history of the structure and celebrate the role of its original family in the founding of Boaz. To enhance the cultural life of Boaz Area residents by honoring the area’s art, history and heritage by sponsoring an annual calendar of varied artistic and historical temporary exhibits and programs such as art fairs, classes, workshops, and special events. To enhance the tourism potential of the area through the development of a permanent collection of unique exhibits which appeal to all segments of the public. To build bridges between the citizens of our community by involving people, organizations and businesses throughout the area including our schools in the development and management of activities of the Cultural and Visitor Center.